We have been providing financial advice to clients many years & we have many happy customers around the UK as we also offer national advice via telephone or video call appointments. For expert advice you can trust, call us today on 01253 294480, and read some of our reviews below. Steve Moseley offered an efficient, knowledgeable and personable service when we bought our first home. His industry experience, pragmatic approach and down to earth nature made life much easier as opposed to handling The Mortgage Process on our own or going direct with The Building Societies. This was particularly important for me, as a Business Owner. I would unreservedly recommend Steve and OptionsMC. Best Wishes, Chris and Rachel. My husband and I recently used the mortgage service offered by Options Mortgage and our mortgage advisor was Steve Moseley. For what we had hoped to be a relatively straight forward mortgage application turned into an incredibly stressful and long drawn out process, spanning over 3 months. For the duration of this time, Steve provided regular updates to my husband and I and he definitely took our case to heart and at one point escalated the application to the CEO of the mortgage lender. The whole process has been a rollercoaster ride, but without the dedicated, constant support and help from Steve, I do not believe we would have ever had the opportunity to buy the house we were so desperately keen on. We would definitely recommend Steve as a very reliable person for ensuring the most positive outcome for his clients. Thank you very much for everything Steve. Highly recommended used more than once and would always go back …if they can’t make it happen…no one can! I can’t recommend these guys enough. Graham made things happen that I never thought possible, and explained everything in detail, yet worded how I’d understand it, at every step. We have a happy family home now thanks to these guys. Top notch. Thank you to Graham for all the help and advise he gave us in getting a mortgage that was right for us. Very good at what he does….with thanks, Senga & Rob. Amazing amazing amazing!!! Who knew getting a new mortgage could be so enjoyable- Graham is just brilliant, funny and friendly but just brilliant at his job!! Thank you so much for getting me the best deal!! I have used option mortgage centre 3 times now! Absolutely fantastic service and so speedy, thank you Graham Wilson and team!! Cannot speak highly enough about Graham Wilson & the team, from start to completion absolutely brilliant..thank you all so much. Fantastic company, brilliant people always go the extra mile. I have used Options for commercial, buy to let and own home mortgages. Rick, Graham and the team always manage to get the right product for me. Couldn’t recommend them highly enough. Excellent customer service with great advice. Graham Wilson highly recommended! Amazing!! Helped us with everything we needed and then some!! Massive thank you!!! Especially Rick!!! 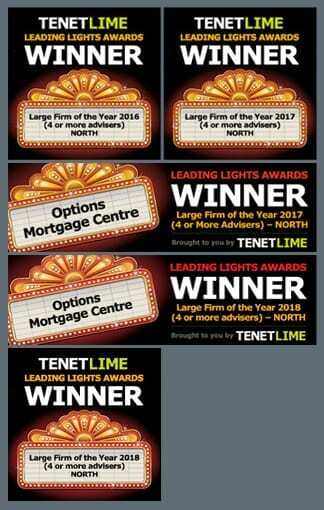 I would highly recommend Richard and his team, we will definitely use Options Mortgage Centre again. Great people! Graham & Karen and Options Mortgage Centre team always try make the best…3 months hard work but now we got new house. start to finish Highly recommended! Thank you so much! Really helpful and friendly people we have spoken to here and explained everything so we understood it and made things run smoothly. We have used options before and will be using them again in the future. Highly recommend to anyone. We wanted to take the time to thank Rick and his team at Options for getting us back on the property ladder after living abroad for a while! Being self employed we knew it would not be easy but we have a great mortgage deal with a mainstream lender and are so pleased with our new home!! Thank you!! We used OMC to help us buy our first house, other brokers told us they couldnt help as my partner didnt have 2years of self employed books. We met Graham and gave him all of our details and he got us a AIP the same day. We then found the house we wanted and went ahead with the mortgage application, this dragged on due to the mortgage lender having a long turn around time and kept asking for additional information (nothing to do with OMC, they constantly chased up the application for us!!) Graham and his team were great giving us updates all the time and were always helpful and informative.